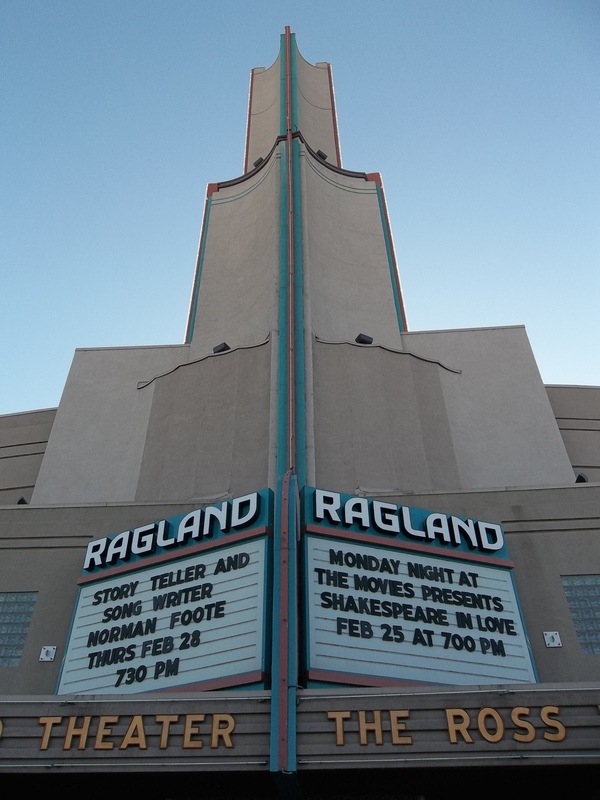 Ross Ragland Theater in Klamath Falls. Photo by Marti Gerdes. A report by UO graduate students reveals that the shuttered or struggling theaters—former cultural and economic linchpins in their communities—remain potential catalysts for downtown revitalization. EUGENE, Ore. – (September 28, 2015) – A new report by UO graduate students on the condition of Oregon’s historic theaters reveals them as potentially significant economic engines challenged by financial and organizational needs, which the report provides specific recommendations to address. Nearly a year of research resulted in “Oregon Historic Theaters: Statewide Survey and Needs Assessment.” The report notes that the many shuttered or struggling theaters—former cultural and economic linchpins in their communities—remain potential catalysts for downtown revitalization. The report was produced by five University of Oregon graduate students working with UO Community Planning Workshop Program Director Robert Parker. They documented the condition and needs of the theaters and outlined recommendations for increased success. The survey identifies four key challenges facing historic theaters: tight finances, aging infrastructure, increased competition, and lack of coordination among owners-operators for sharing opportunities. Fifty-six percent of Oregon’s historic theaters have not been seismically retrofitted, 57 percent do not have automatic fire protection, and 46 percent are not fully ADA compliant. The theaters collectively hosted 62,000 events and brought in $23 million in revenue. The thirty-six theaters responding to the survey reported a combined $20.8 million in deferred maintenance. Thirty-two percent had not upgraded to fully digital projection, necessary to show first-run movies and remain more competitive. 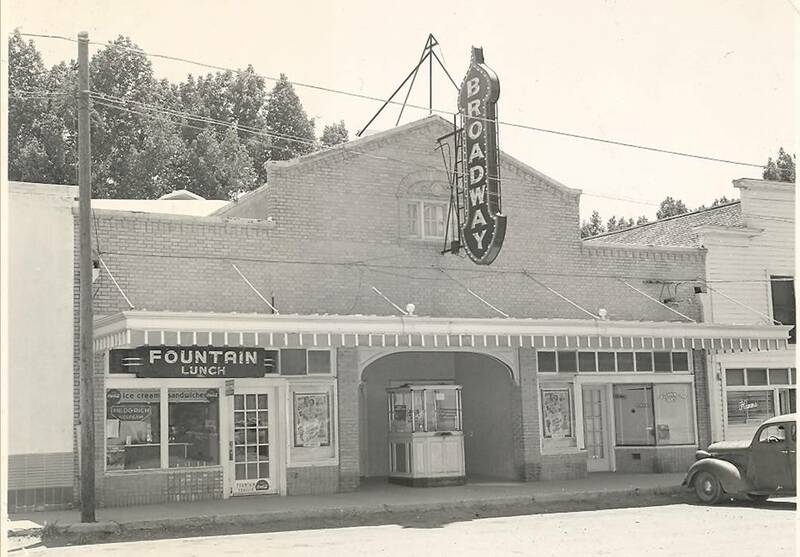 Broadway Theater in Malin, southeast of Klamath Falls. Image courtesy Basin Youth for Christ. The report recommends: (1) theaters undergo comprehensive structural assessments, preferably by an architect trained in historic preservation; and (2) a diverse coalition of nonprofit and state agencies create a statewide “historic theaters initiative” that offers funding, technical support, access to diverse programming, and a mechanism for sharing information and resources. A five-year “Action Plan” to address theaters’ needs was begun in August by Restore Oregon, Oregon Main Street, the Oregon Heritage Commission, Oregon Film (the Governor’s Office of Film and Video), Oregon Arts Commission, Oregon Regional Solutions Team, Pacific Power, and the UO’s Community Service Center. Travel Oregon provided a matching grant for the survey. Match dollars, acquired through efforts by Parker, came from the US Economic Development Administration (EDA) administered through the UO’s EDA University Center. The inventory was conducted between September 2014 and August 2015. The report is available online here. A video about the project can be seen here. Welcome to the second entry in the Research & Work Series. In 2011 Montana Magazine published an article by MDR/SAH board member Philip Gruen on Alder Gulch. 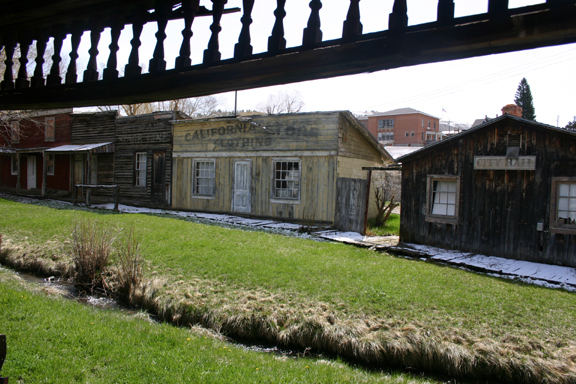 Consisting of Virginia City and Nevada City (geographic confusion be damned, they are in Montana), the area was conceived as a Western response to Colonial Williamsburg. As John D. Rockefeller Jr. was to Williamsburg in the late 1920s, so Charles and Sue Ford Bovey were to Alder Gulch in the 1940s, albeit much more hands-on. Virginia City is indeed an old Montana mining town with a variety of buildings preserved in situ, but it also contains restorations, rehabilitations, and recreations. 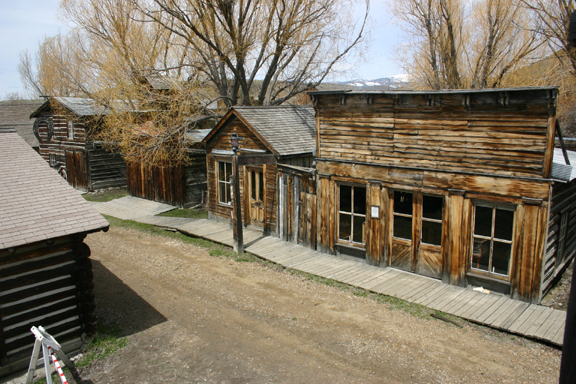 By contrast, Nevada City is in an open-air museum (essentially an architectural petting zoo, if you’re inclined to snarkiness) located a mile and a half from Virginia City and containing nearly a hundred historic Montana buildings that were moved to the site. Alder Gulch also includes Daylight Village, a collection of visitor facilities built between 1946 and 1961, partially cloaked in an Old West idiom, but with real references to the area’s architectural and commercial history. In his article, Philip Gruen examines issues of preservation, authenticity and historic significance as they relate to original buildings, relocated buildings and the Mid-Century visitor facilities. 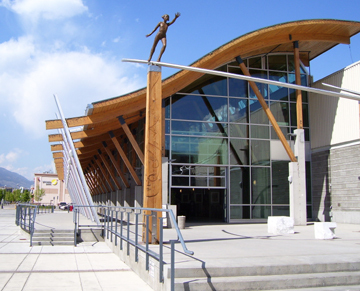 The Kelowna Rotary Centre for the Arts, whose South Atrium was the site of our Friday afternoon reception and address, struck many of us as a remarkable architectural design. Intended as a multi-functional forecourt to a much earlier light-industrial building, the addition is a distinguished composition of articulated concrete piers supporting an eloquent structure of wooden elements, fronted by a range of sunscreens to ameliorate the low and intense summer sun. In an elegant acceptance of disabled-access codes, major entries to the building are accessed only by shallow ramps; no awkward stair-and-ramp shotgun weddings here. The new structure had its beginnings in the Kelowna Visual and Performing Arts Centre Society’s wish to remodel the old and little-used Growers’ Supply Building to suit their needs. Hotson Bakker Architects of Vancouver, who had done award-winning work at Vancouver’s False Creek, were retained in 1998; the new building opened in November of 2002. It is named in honor (honour) of the Central Okanagan Rotary Clubs. Brochures describing the Centre rightly claim that it “remains a part of Kelowna’s past while embracing its status as a modern, multi-purpose arts and performance centre.” And an extraordinaily handsome one too. The 2010 annual chapter conference was held October 15-17 in Kelowna, a lakeshore city of 120,000 that is the agricultural and recreational hub of British Columbia’s scenic Central Okanagan Valley. In brilliant open weather, a congenial group of just over thirty registrants gathered from all parts of the region to hear papers, participate in a panel discussion, and enjoy walking and bus tours organized around the theme, “ Small Cities: Balancing Pasts and Futures in the Pacific Northwest.” Past chapter president Martin Segger, University of Victoria, co-chaired the conference committee with regional delegate Hal Kalman of Vancouver. Hussein Keshani, University of British Columbia, Okanagan Department of Art History and Visual Culture, directed local arrangements with the support of Lorri Dauncey, Grants Manager for the Central Okanagan Heritage Society, and Larry Foster, President, Heritage B.C. and former Long Range Planning Manager for the City of Kelowna. Click here to read the full text of the conference summary by Elisabeth Potter. Check out photos from the Annual Meeting by clicking here or on the relevant tab at the top of this page.